Book Publications | Water . Environment . Climate . 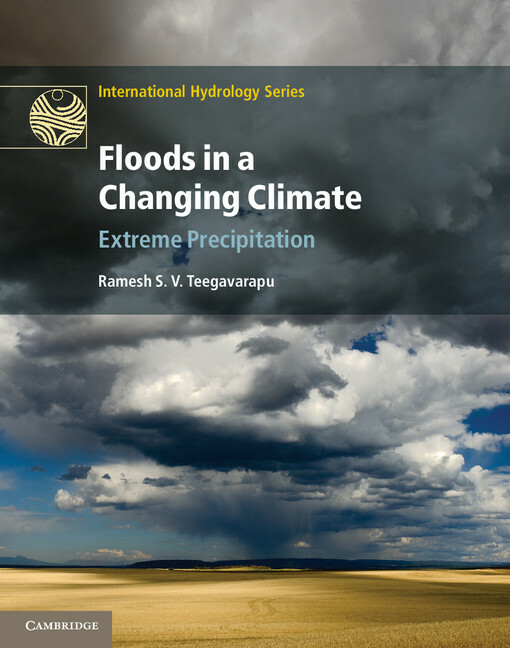 Ramesh S. V. Teegavarapu, Floods in a Changing Climate: Extreme Precipitation, , Cambridge University Press-UNESCO (United Nations Educational Scientific and Cultural Organization), January, 2013. 285 pages. 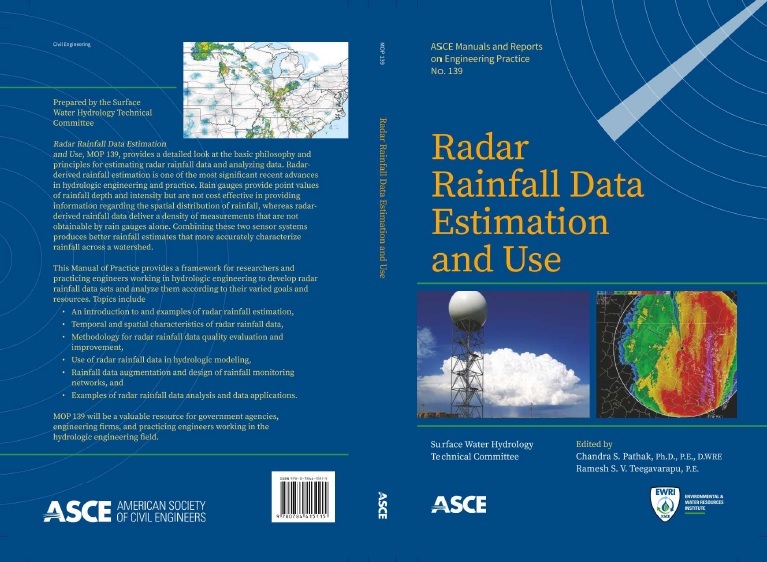 Manual of Standard Practice for Radar Rainfall Data Estimation, Editors: Chandra Pathak and Ramesh S. V. Teegavarapu, completed August 2015, ASCE. Available: August 2018. Sustainable Water Resources Planning and Management under Climate Change, Springer Publication. 2017. Ramesh S. V. Teegavarapu, Lead Editor, Statistical Distributions in Hydrology, ASCE. (to be published, 2018). 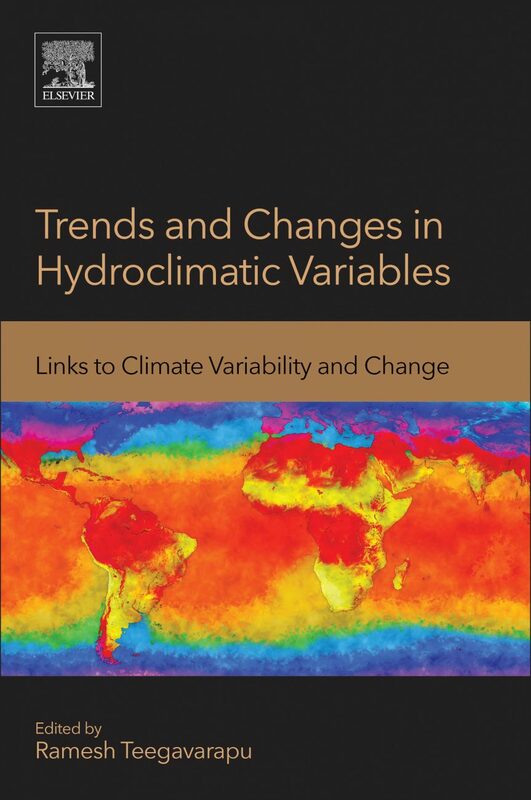 Ramesh S. V. Teegavarapu, SoleEditor and author of three chapters, Trends and Changes in Hydroclimatic Variables: Links to Climate Variability and Change, Elsevier Publication, 2018. (being completed). Ramesh S. V. Teegavarapu, Co-Editor, Manual of Standard Practice for Radar Rainfall Data Estimation, ASCE, 2018. Ramesh S. V. Teegavarapu, Co-Editor, Sustainable Water Resources Planning and Management under Climate Change, Springer, 2017. Published. 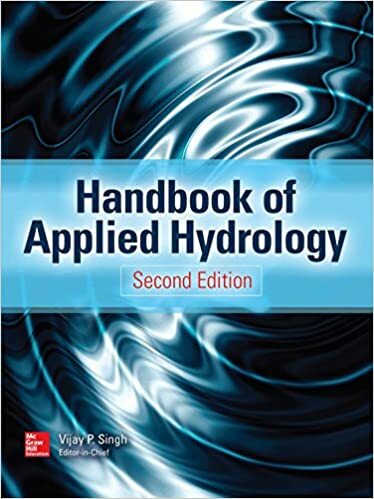 Ramesh S. V. Teegavarapu, Spatial and Temporal Estimation and Analysis of Precipitation, Handbook of Applied Hydrology, McGraw Hill, (completed) to be published October 2016. Ramesh S. V. Teegavarapu, Climate Variability and Precipitation Extremes, IAHR, Springer, Ramesh Teegavarapu, 2017. Published. Ramesh S. V. Teegavarapu, Evaluation and Improvement of Radar-based Rainfall and Design of Monitoring Networks, Manual of Standard Practice for Radar Rainfall Data Estimation, Ramesh Teegavarapu, 2018. Under Publication. Ramesh S. V. Teegavarapu, Precipitation Data Augmentation and Analysis of Radar-based Rainfall Data, Manual of Standard Practice for Radar Rainfall Data Estimation, Ramesh Teegavarapu, 2018. Completed. Under Publication. Ramesh S. V. Teegavarapu, Precipitation, Chapter in ASCE Book on Statistical Distributions in Hydrology: Ramesh Teegavarapu and Chandra Pathak, May 2012, ASCE. Available: May 2018. Completed. Under Publication. 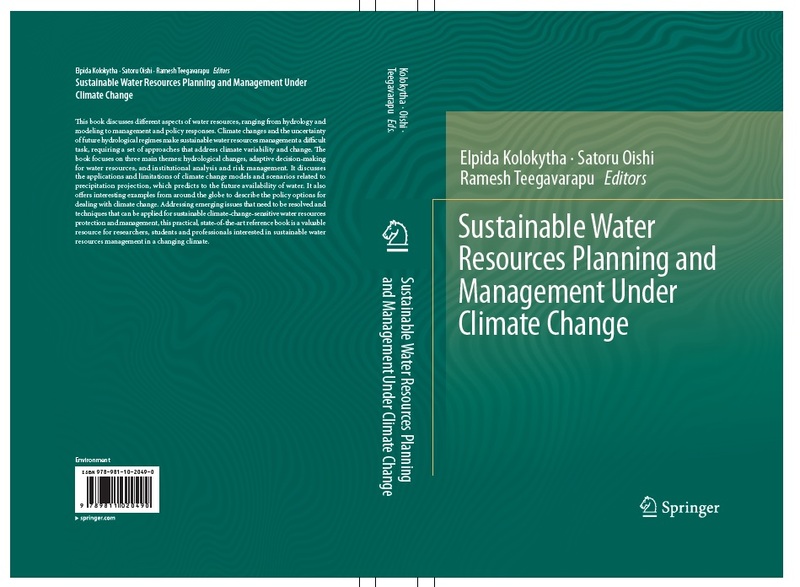 Elpida Kolokytha, Carlos Galvao, Ramesh S. V. Teegavarapu, Climate Change Impacts in Water Resources Management and Planning, Springer, 2017. Published. Ramesh S. V. Teegavarapu, Methods for Analysis of Trends and Change Detection in Hydrometeorological Time Series, Chapter in Book to be published by Elsevier, 2016. Ramesh S.V. 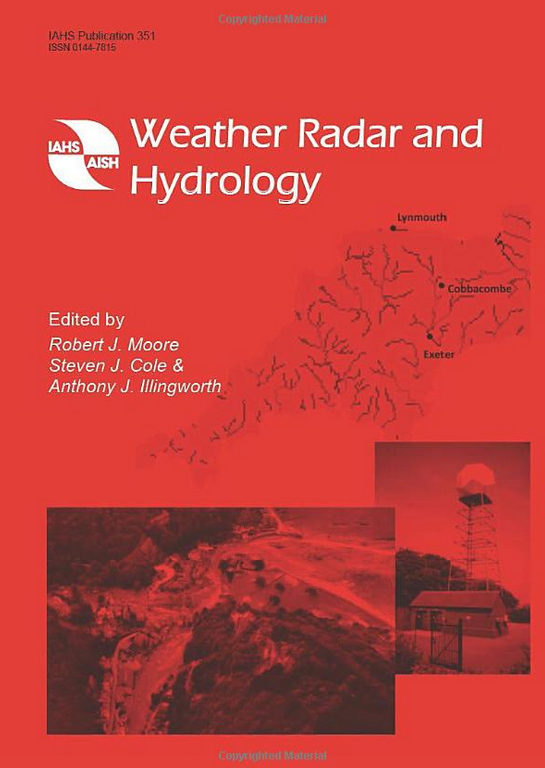 Teegavarapu and Chandra Pathak, Development of Optimal Z-R Relationships, Weather Radar and Hydrology, IAHS Red Book published by International Association of Hydrological Sciences, United Kingdom, 351, 75-80. 2012. ISBN 978-1-907161-26-1, 672. Scarlatos P., Kaisar E., and Ramesh. 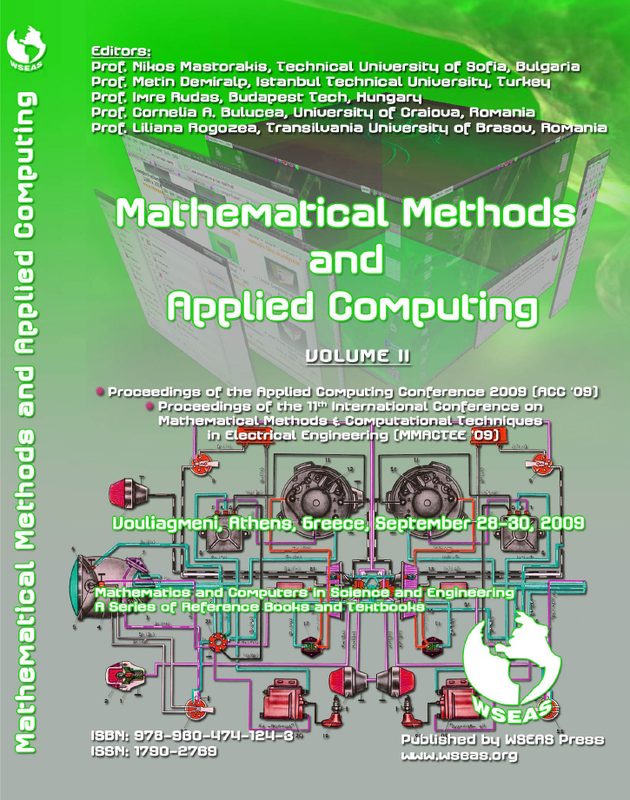 S. V. Teegavarapu, Modeling and Simulation of Catastrophic Events Affecting Critical Infrastructure Systems, Mathematical Methods and Applied Computing, Vol. 3, 2009, pp. 334-346. Ramesh S.V. Teegavarapu and S. P. Simonovic; Optimal Operation of Water Resource Systems: Trade-offs between Modeling and Practical Solutions, Integrated Water Resources Management, IAHS Red Book, 272, 2002, 257 – 262, Publication of International Association of Hydrological Sciences, United Kingdom.